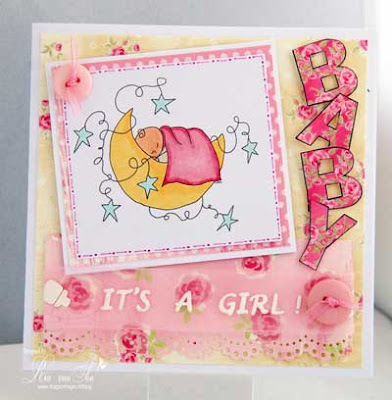 We have some fantastic cards filled with lace and buttons last week. Hello Tiddly Inks Fans! Welcome back for a new fun and exciting challenge! Woot woot! Remeber to check back tomorrow for the Winner's Post! Today we would like to see your Red, White, and Blues shine! 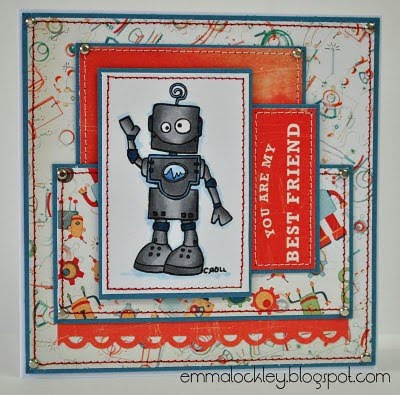 Create a freedom card, summer card, any card you like just use the color combo with your Tiddly Inks image! Have fun most of all and good luck to you all Happy Tiddly Inks friends! Remember we have 2 placement levels in our weekly challenges. 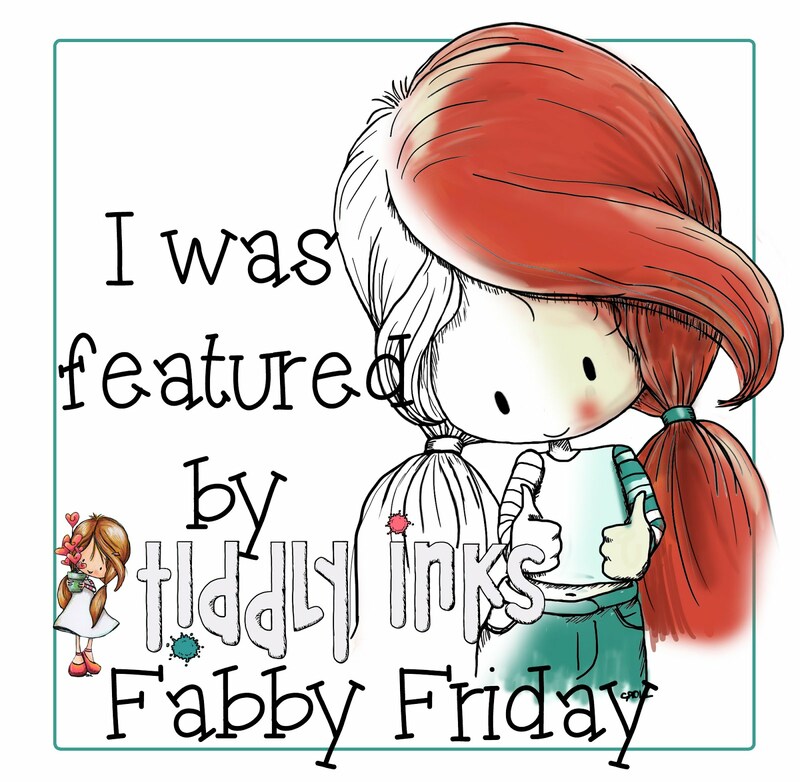 1) The Design team will choose a Top 3 from the entries to receive a "I was a Tiddly Inks Top 3!" badge. 2) A random entry will be chosen to receive a $10 gift voucher to the Tiddly Inks store. All Winners will be announced on Wednesdays following the new challenge announcement. Good luck everyone! Here is the DT's Red, White, and Blue gorgeous eye candy! It's Lysa here to share with you a video I did showing how I color black hair using Copics. My first video- hope you enjoy! Thanks for watching- Please let me know if you have ANY questions! Don't forget to play along with our buttons and/or lace embellishments challenge this week! And finally, I wanted to direct you to the final entry in the challenge...Jess had a great idea with a cookie box. Take a peek here. Good morning all you Tiddly Inks fans! 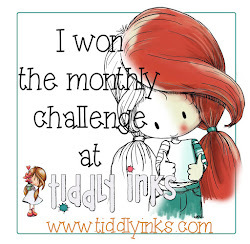 Welcome back to another fun week here at Tiddly Inks Challenge! This week we have a super easy one for you... Embellishments, but not just any embellishments... using your Tiddly Inks Images please create a project using Lace or Buttons or both! All up to you just have fun and get your Tiddly Inks on! Please remember to check back here tomorrow for the Top 3 and our Winner of last week's challenge! Now here is the eye candy the DT has prepared for you. Hey! Welcome to another fabulous Tiddly Tutorial, Today I'm ( Emma) going to show you how to make a simple Keyring using the gorgeous Tiddly Inks Digital Images. I love making these, there quick, easy and cheap! I made a whole load of these for my Daughters school friends, they each wrote their names on the back of the keyring and attached it to their school bags. These always go down well as a little gift with a birthday card! 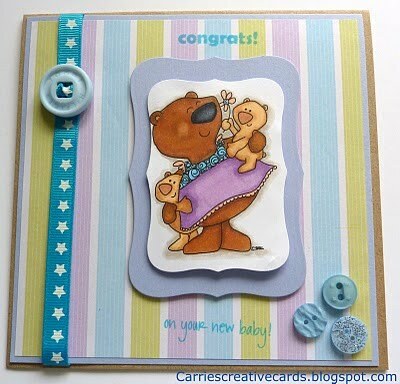 I really hope you enjoyed my Tiddly Tutorial today, We would love to see your Keyrings! We have multiple winners to announce today and then we will be all caught up. :) My email addy for all those who need it to collect a voucher is tiddlyinks87@gmail.com. Second place went to Meredith. The winners of our Baby of Mine challenge mark the beginning of the Tiddly Inkers design team picking a Top 3 to receive our nifty new badge...Wahoo! 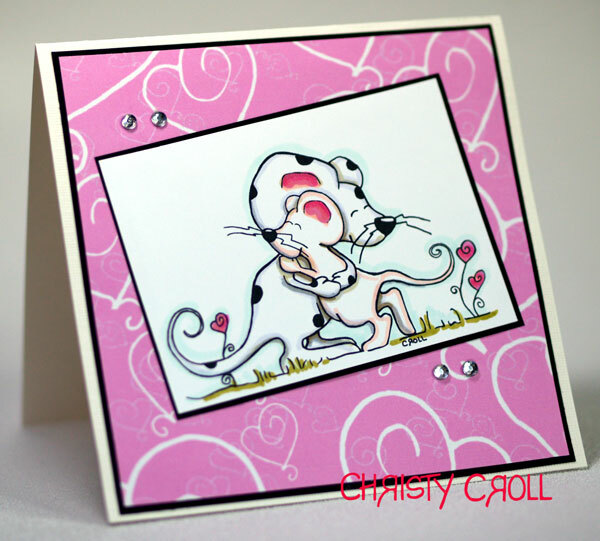 Hi ya everyone....thanks for stopping by this week as we have an adorable challenge. 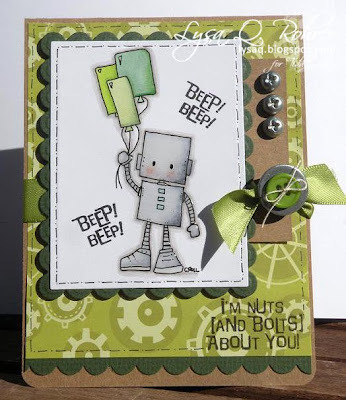 :) Bleep, Bleep! 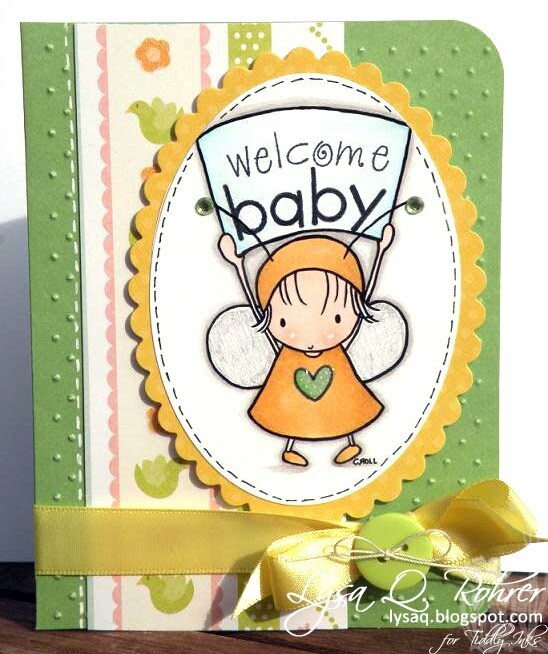 Our winners of the Going Gothic and Baby of Mine Challenges will be announced Wednesday, June 16. We have started something new this week and from here on out the DT is going to pick a Top 3 to receive a badge (we will no longer have open voting) and we will also have one random winner to receive a gift voucher. Thank you to each lady who contributed to our discussion on whether to vote or not to vote on our weekly challenges. Without fail, everyone suggested doing away with open voting. People had some good ideas, and after some discussion with the design team, we have new placement ideas for our weekly challenges. Challenges are supposed to be fun and "challenging" as well as a method for sharing something we all love--crafting and carding. :) It takes a lot of time to develop a new project each week and I want to honor the commitment and talent of each person. Unfortunately, it isn't possible for each entry to win each week, but we have a good solution. We will now have 2 placement levels in our weekly challenges. All Winners will be announced on Wednesdays, following the new challenge announcement. We hope that this meets all the suggestions and that it most importantly will honor the talent and the dedication that so many of you have exhibited by faithfully participating in the challenges. To Vote or Not to Vote on the challenges? Now, the part you need to help us decide is IF we should have voting at all---do you want to do that or not? I have heard from both sides...saying, they like it and they don't like it, so chime in. I hope to hear from at least 50 of you so that we get a clear picture on whether or not we should consider using voting in the challenges. If it is a split decision, maybe we will have both a random winner and a voting winner...I am open to doing whatever people would like the most. Don't forget to scroll down for the entry rules for Challenge 8 (Baby of Mine) and to vote (yes, we are sticking with it for now :D) for your favorite Going Goth card in Challenge 7. Welcome back to another fun Tiddly Inks Challenge! Wahooot hoot! Congratulations! Please contact Christy for your $15 voucher! EDIT BY CHRISTY on Tuesday morning: Hi ladies....It looks like the votes do not match the Inlinkz dashboard stats, so next week we will ignore the dashboard..LOL It was super close this week either way you look at it, so we are going to have co-winners this week. 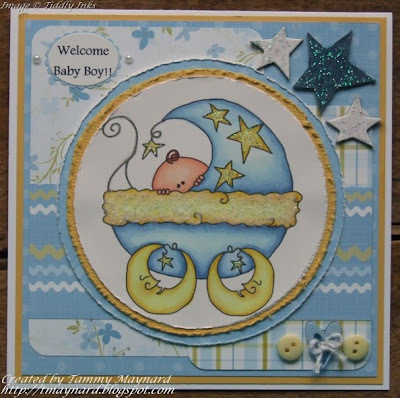 This week our theme is Baby of mine! Super easy right? 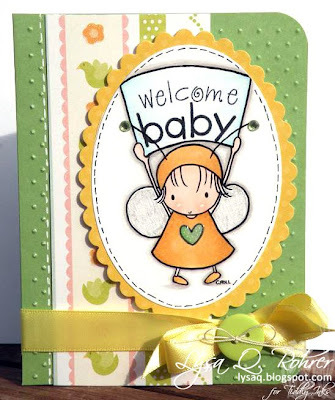 All you have to do is create a Baby card with any of your favorite Tiddly Inks images! 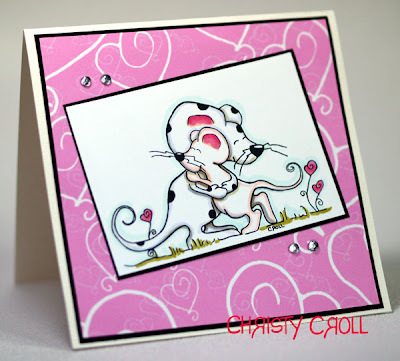 Please link your card to inlinkz below by Monday June 14th at 10PM CST for a chance to win a $15 gift voucher to use at Tiddly Inks.com! Wahoo! Also, the next winner will be announced on our next challenge based on your votes so please don't forget to vote as you go along taking a peek at the entries! Now without further delay here are the DT creations!